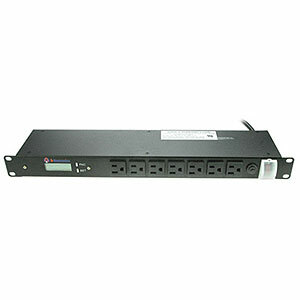 This 1U AC power distribution unit (PDU) provides up to 15 amps of electricity for as many as 17 devices. Its backlit LCD meter displays AC voltage and frequency, current amperage, wattage and VA, power factor and KW per hour. Fixed mounting flanges offer a solid rack mount installation. As the PDU does not filter current, it is for use with alternate waveform UPS or generator power in rack enclosures, network closets and more.